Just two photos to share with you today – but they’re really good ones! First up is Mina with her new favorite toy. One of her favorite books is The World Champion of Staying Awake. In it, a character we always insist is named Mina, has to put three stuffed animals to bed before she can get sleep herself. Mina’s favorite of the three is Beanbag Frog. Last weekend she had a little round beanbag that she carried with her, and kept telling me it was Beanbag Frog. I felt bad that she didn’t have an actual frog, so I started shopping for one. 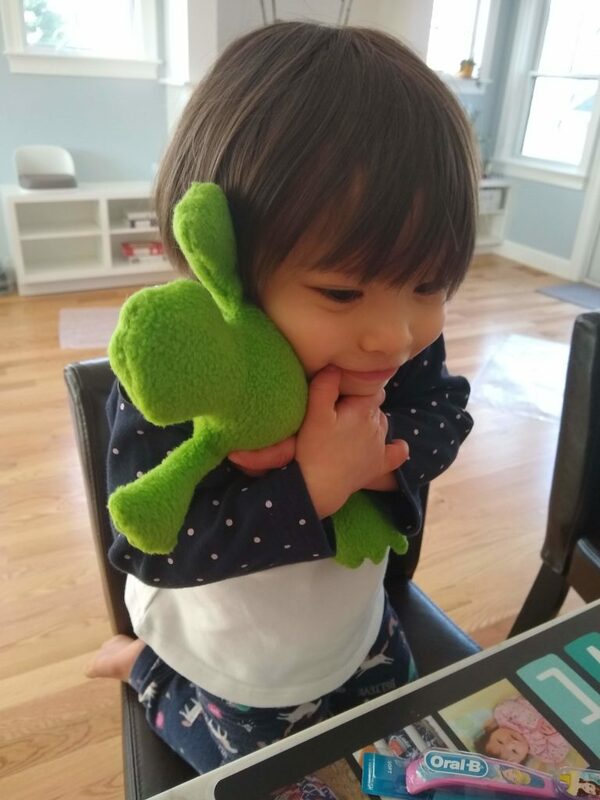 When I mentioned all this to Jenny, she did what any proper aunt would do: she quickly made a beanbag frog and sent it to Mina. She loves it. And I’m pleased to report that he went down without a fuss last night. 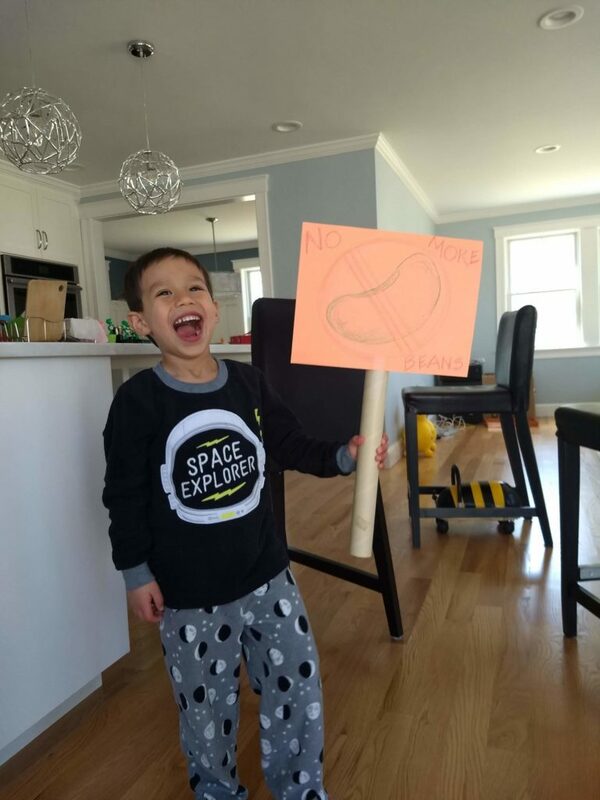 Please note that it’s 1:30pm and he’s still in his pajamas. Lately he refuses to take them off.